June 17, 2015 - Fresh off of winning its fourth straight Dealers’ Choice Award for CRM excellence, ProMax Unlimited made another big addition to its software suite with the release of Email Campaigns. ProMax Unlimited, an industry-leading full front end solution, is used in over 2,000 automotive dealerships nationwide. 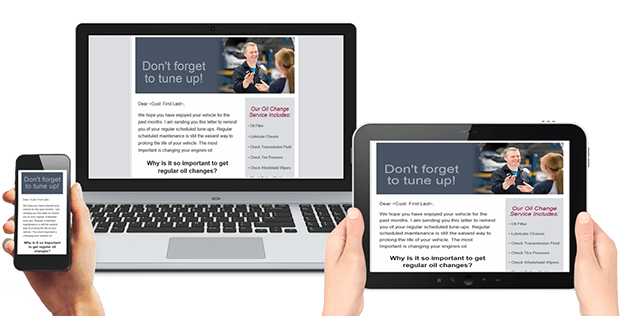 The release of this new email marketing tool is just the latest addition ProMax has made to its core product. The ability to send compelling email messages to customers is essential to any CRM tool. “Email remains the go-to form of communication, and dealerships rely on it to market to their customers” said ProMax COO Shane Born. ProMax Email Campaigns give users the ability to create professional-looking campaigns with ease and also comes with a selection of effective email templates that are designed to display equally well on desktop computers as well as mobile phones and devices. “The responsive templates we offer are a big plus for dealers” said Born.